When they get started, a lot of beginner AdWords users don’t realise that there are multiple keyword types they can (and should) use. As a consequence, they often go with the generic “broad match” type and find they spend their budget very quickly, but generate very few leads &/or sales. At this stage, AdWords beginners typically fall into the “Adwords doesn’t work” or “I tried Adwords and it didn’t work” camp, and give up on using it. This is usually a BIG mistake, because AdWords usually does work if you know what you’re doing, and keyword types are a major component of that success. 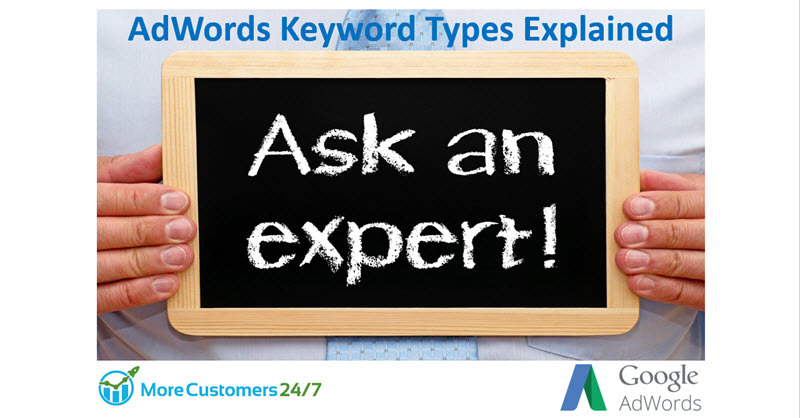 This video is an introduction to the 5 different adwords keyword types, to help you get started and over the hump. I hope you get some value out of it and it helps you run a better, more profitable AdWords campaign. If you have any questions, feel free to put them below and I’ll do my best to answer them when I get a chance. Note: all spam will be deleted AND blocked, so don’t waste your time or mine.